For brilliant hair with no residue. For those who want to nourish their hair, styling it. Create up-dos, supporting single shocks of hair. For hard-to-hold hairstyles and looks that last all day. For those who want a product that can be eliminated with a hairbrush and leaves no residue. Spray the quantity needed evenly on dry hair. A more abundant application will further accentuate the filmogenic effect without ruining the hairstyle. Eliminate with a few strokes of your hairbrush. The pack permits the spray to be dispensed from any angle. 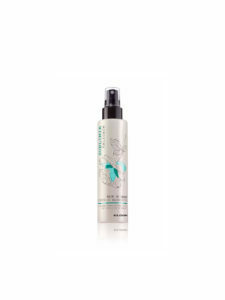 Solution enriched with several active ingredients that together perform functions that help the hair.